I believe the best way to run a company is to align the interest of all the staff and the company. The best way I know how to do that is to share the financial information. We have seen tremendous results as we all pull toward the same goals. 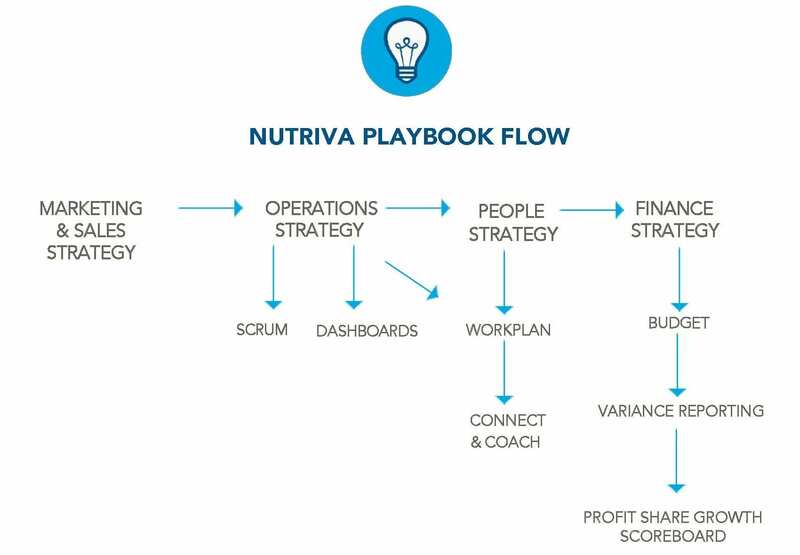 One of the secrets to our success is the Nutriva Group Playbook. The Playbook is our operating manual that we use to help guide our group of businesses towards success. Included in the Playbook are turnkey solutions for strategy, operations and people to support business development and growth. The Playbook supports our Open Book Management approach using a comprehensive framework that is simple and easy to implement. Our focus on improving the value of the food chain through innovation and collaboration also means we’re focused on improving the health of our communities too. Take a look at some of the things we’ve achieved.